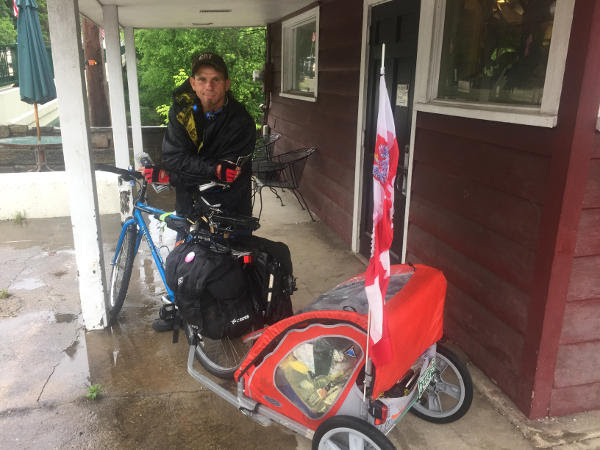 Krzysztof Chmielewski from Poland stopped in the Century Cycles store in Peninsula on May 25, 2017 while touring all across the USA! He started his trip in Florida, then went up to New York City and New England, then down to Washington, DC, then to Pittsburgh and Cleveland. He planned to continue to Chicago, then up to Canada, eventually to Fairbanks, Alaska. 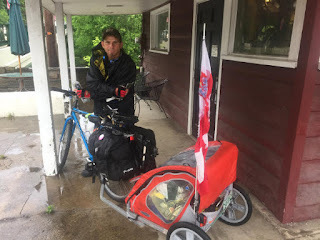 If that weren't enough, he plans to turn around and head down the west coasts of North and South America, all the way down to Argentina! He remarked that he was pleasantly surprised at how nice the people of Ohio are! You can see more photos of long-distance cycling tourists who have visited all three of our stores in our Bicycle Touring Photo Gallery.